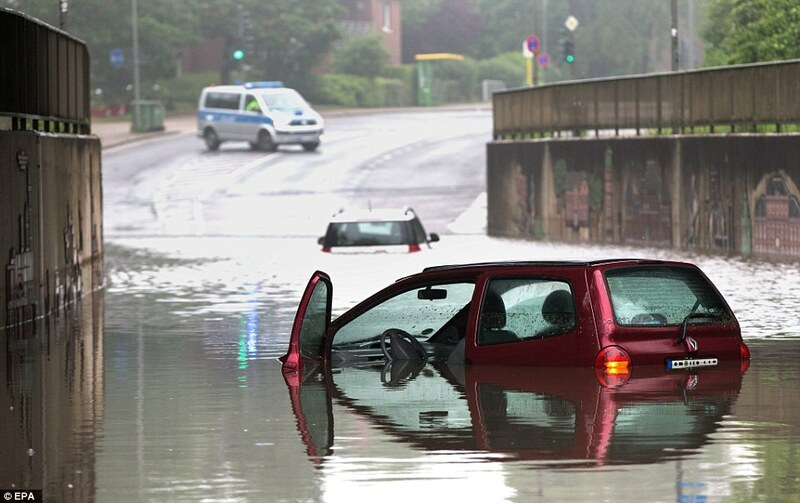 Germany is generally known for it’s mild climate, but it is currently experiencing unprecedented rain and disastrous flooding. Watching these videos is nothing short of surreal. 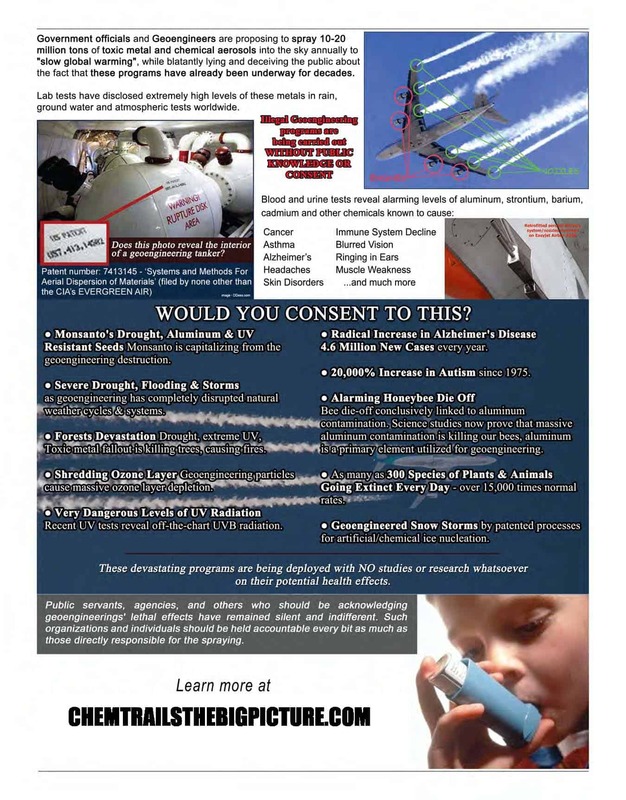 At this point, people who are still trusting Wikipedia’s description of “chemtrails” (and the associated weather modification programs in conjunction with HAARP-like technologies [there are numerous such installations throughout the world]) as nothing but a “conspiracy theory” are simply not paying attention. These weather events are NOT natural. It does not stop raining, the water is rising on and on, all the roads are blocked, and the river has become a sea. In 25 years there has been nothing to be compared to this. The summer this year is off to a rough beginning. Until May 23, except for a few days it was still very cold, and at night it got below 32 ° F (0 ° C). You could not grow anything in the garden, and now the rain. Where we usually are already enjoying sun, fun, games and especially swimming on the river. Now the water is brown and high, not conducive to play. It will be weeks until everything is back to normal. 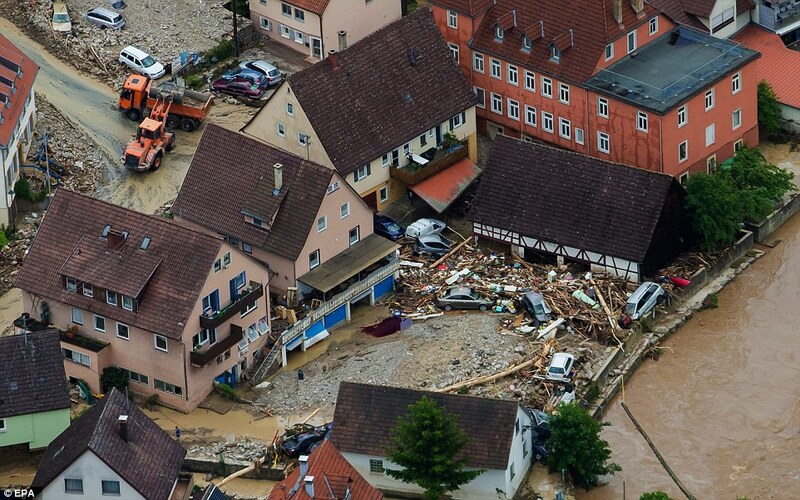 (There is) much suffering, houses were destroyed en masse, many vehicles were pulled into (the current of) the river. Whole cities tonight are underwater. Stores are flooded and several people were killed. It started here last night at around 9pm; extremely heavy rains. Many villages and towns were flooded by rising water. The water did not come from rivers, but from the hills as the rain swelled the small streams. We here in my village are spared this time, thank God. All around, it looks so bad. It is as after an earthquake, volcanic eruption or after a war, there are rubble masses in the streets. 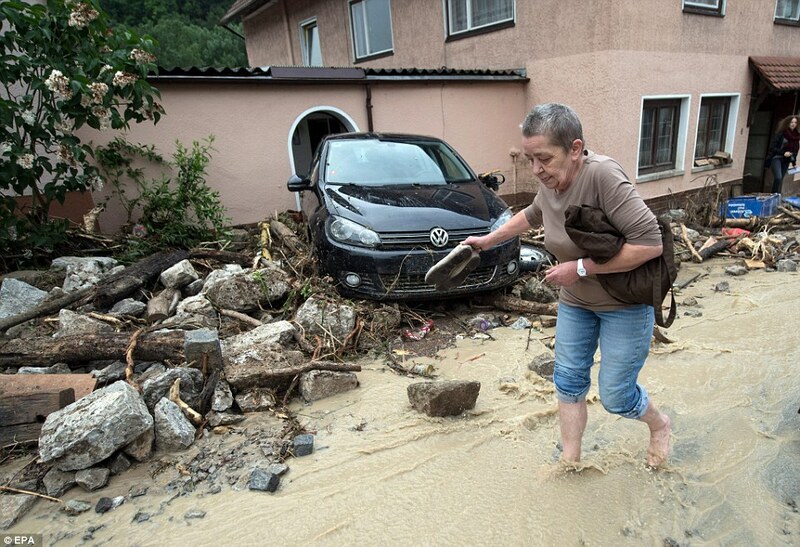 Cars were swept away, swept along and pushed against houses. Trees were uprooted, smaller bridges have collapsed and roads are torn. We had up to 60 liters of rain in a few hours, what normally comes down in a few months. It was crazy and lasted all night. Above our heads, rumbled thunder ceaselessly across the sky and erupted in countless flashes. While normally May is the most beautiful month of the year, for many it was a nightmare. Last night I brought my things in from the river, a few surfboards two benches and a table, when I realized that this would be something bigger. The river is now high, so that everything would be gone, but otherwise our village has been spared. 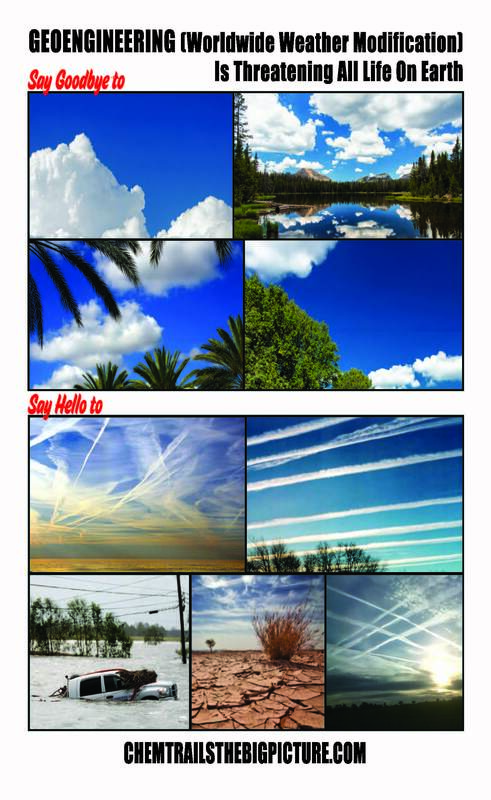 Chaos and devastation re being wrought by a small group of highly powerful people, their goal being to create total chaos out of which they can bring their “New World Order”? It’s interesting that the term “Order out of Chaos” is actually the slogan of the 33rd degree of Freemasonry. 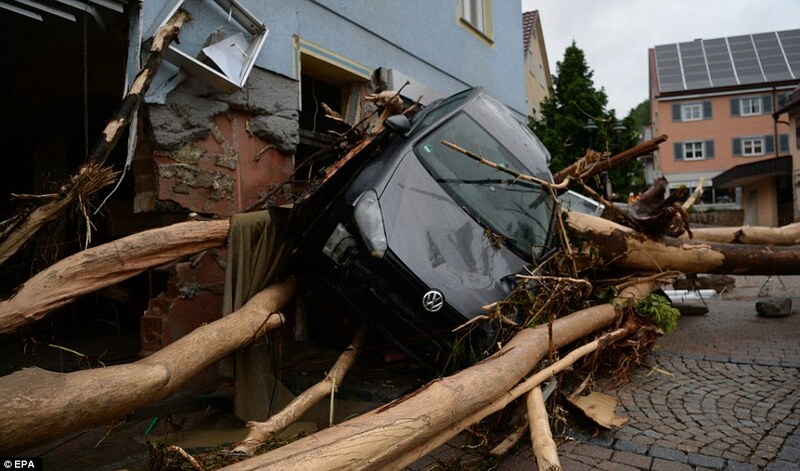 At least four people including a young girl have died after flash floods and hail storms wreaked havoc across Germany, destroying houses and sweeping away cars. 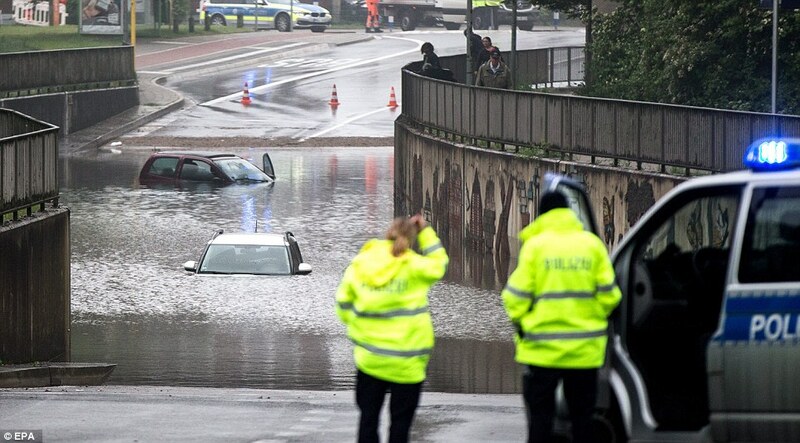 One man aged around 60 drowned in an underground car park when it filled with water too quickly for him to be able to escape in the southwestern state of Baden-Wuerttemberg. 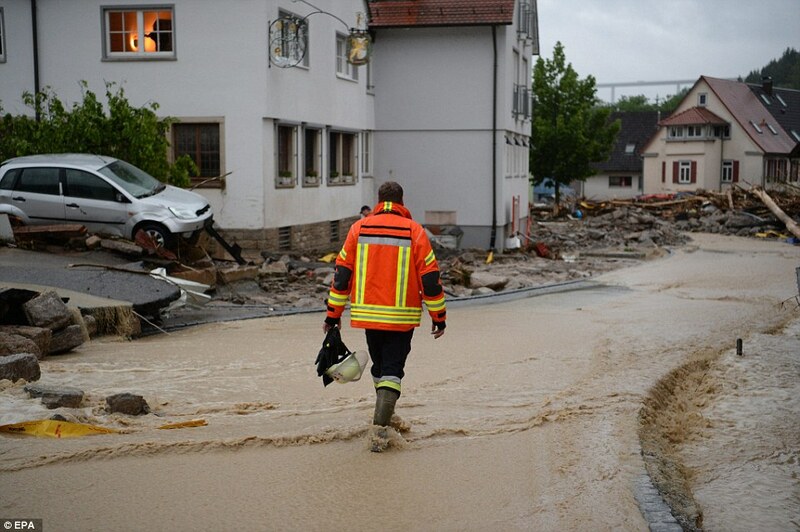 In the town of Schwaebisch Gmuend, a firefighter was killed as he tried to rescue another person in a flooded railway station who then also died. Elsewhere in Baden-Wuerttemberg, police said a 13-year-old girl was killed after being hit by an intercity train while apparently seeking shelter from the storm under a railway bridge. 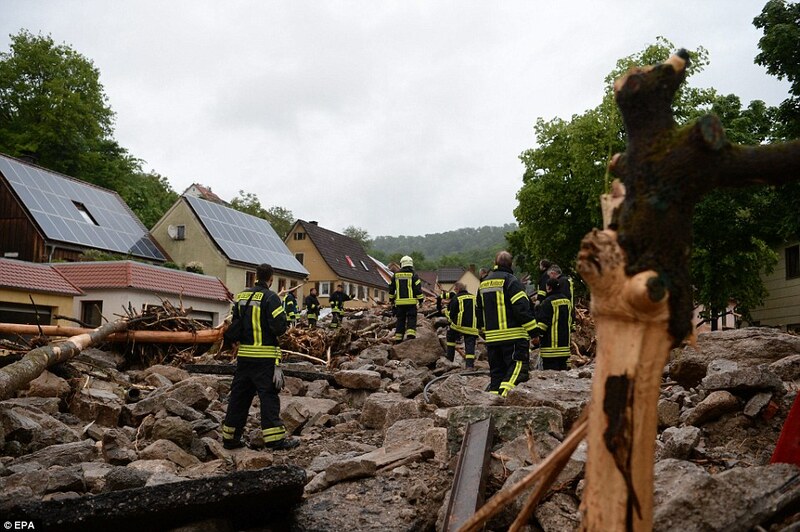 The flooding is the latest fallout from a severe storm that hit much of Germany and Europe over the weekend, with a series of lightning strikes leaving one dead and dozens injured across the continent. 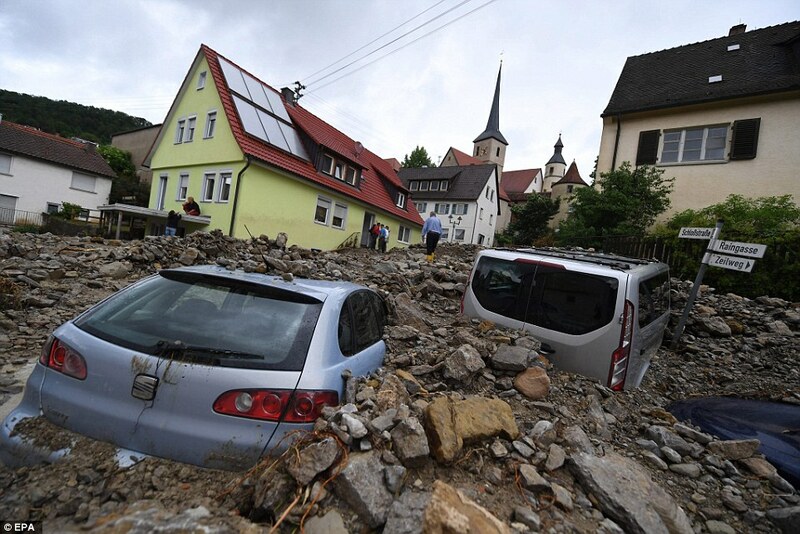 Cars are seen in a flooded street in Schwaebisch Gmuend, where a firefighter die as he tried to rescue a person in a flooded railway station. 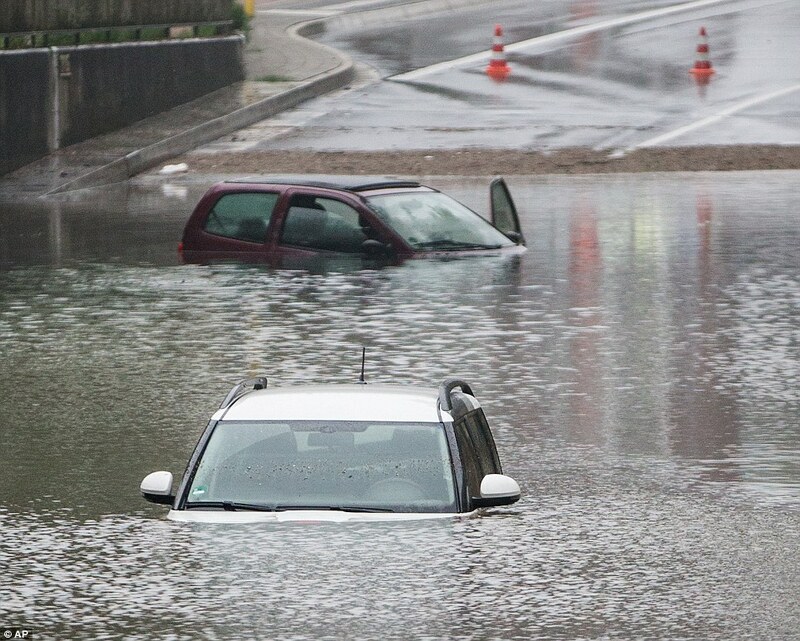 Cars and lorries swept away in ferocious Germany flash floods. 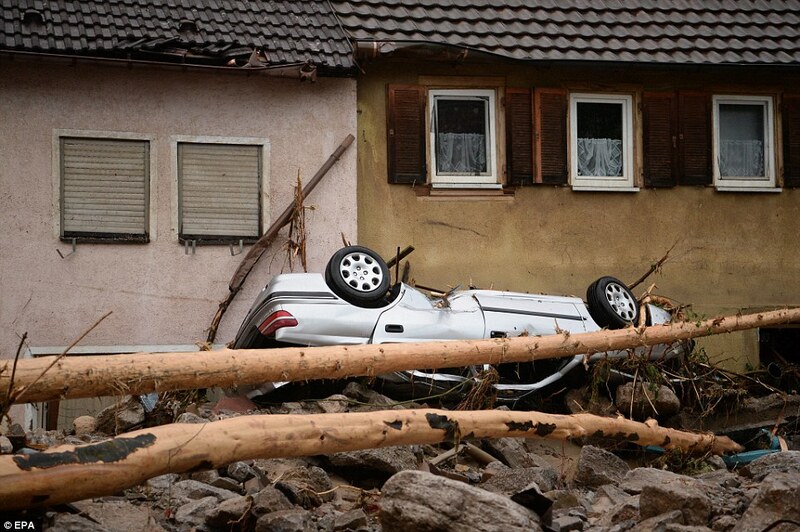 The regional authorities in the southern state of Baden-Wuerttemberg put the number of injured in the flooding at below 10.Violent storms and torrential rain on Sunday evening and during the night caused severe damage in the regional state.A number of people had to be rescued from their cars trapped in the floods.Hailstones which fell were so severe that they not only caused extensive damage, but left main roads blocked and snow ploughs needed to be bought in to clean them away so that traffic could flow again. 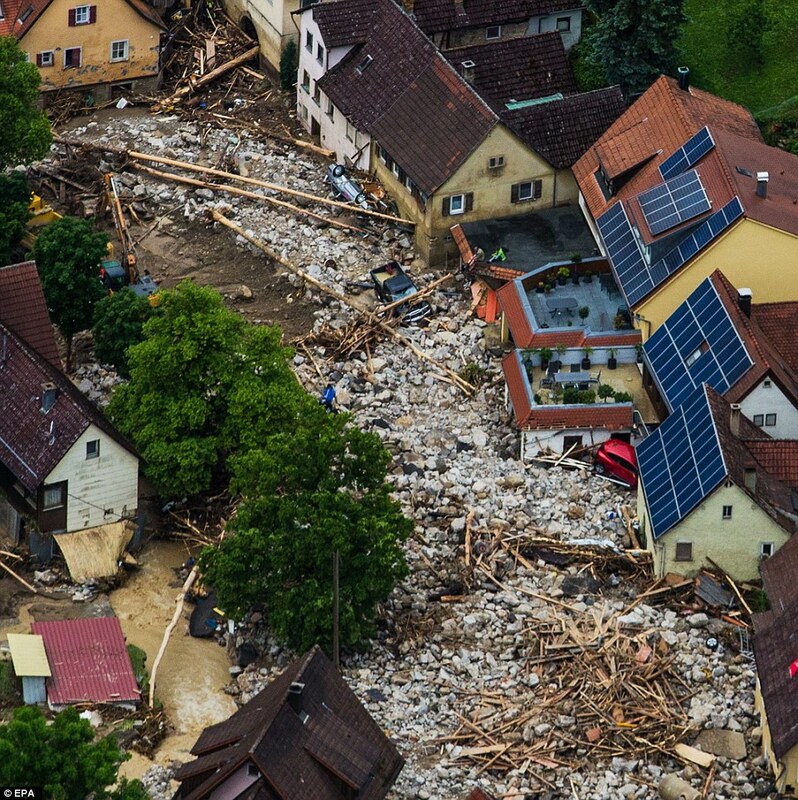 The German news agency DPA said that a river broke its banks in Braunsbach, destroying one house and damaging several others. Eyewitnesses posted videos on social network sites showing cars being carried away by the floods and crashing into shop windows. 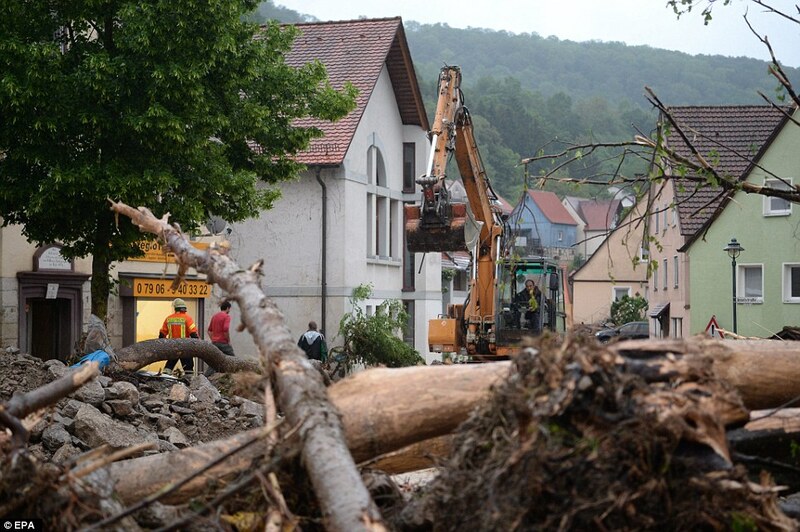 The head of one rural district in Schwaebisch Hall, Michael Knaus, said that more rain fell in the space of a few hours than normally falls over several months. 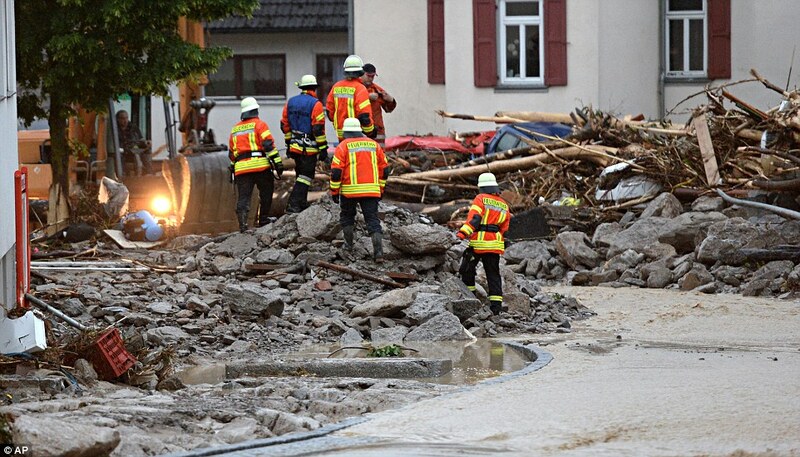 The Baden-Wuerttemberg authorities said that as many as 7,000 firefighters, police officers and rescue workers were called out in some 2,200 incidents. German luxury carmaker Audi has also stopped production at its second-biggest plant in southwestern Germany because of flooding. 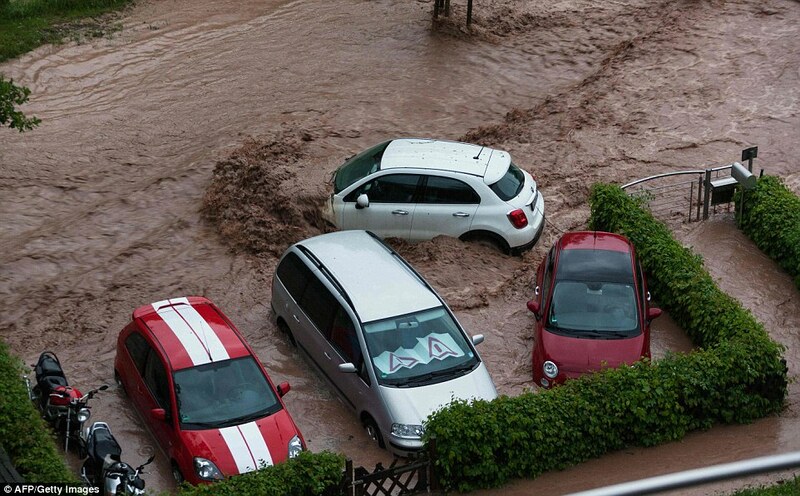 Parts of the factory, where over 16,000 people build Audi’s high-margin models such as the A8 saloon and the R8 sports car, have been flooded following heavy rains over night, a spokeswoman said on Monday. The spokeswoman couldn’t say when production would resume or how many workers were affected by the disruptions. Audi is due to report first-quarter results on Wednesday after delaying publication due to VW’s diesel emissions scandal. Over the weekend, a man in his 40s was killed by a lightning bolt when he was climbing down a mountain in southern Poland. A lightning strike also left eight children and three adults injured at a birthday party in a Paris park when the group sought shelter under a tree. And in Germany, 35 people were taken to hospital after lightning struck a children’s football match.